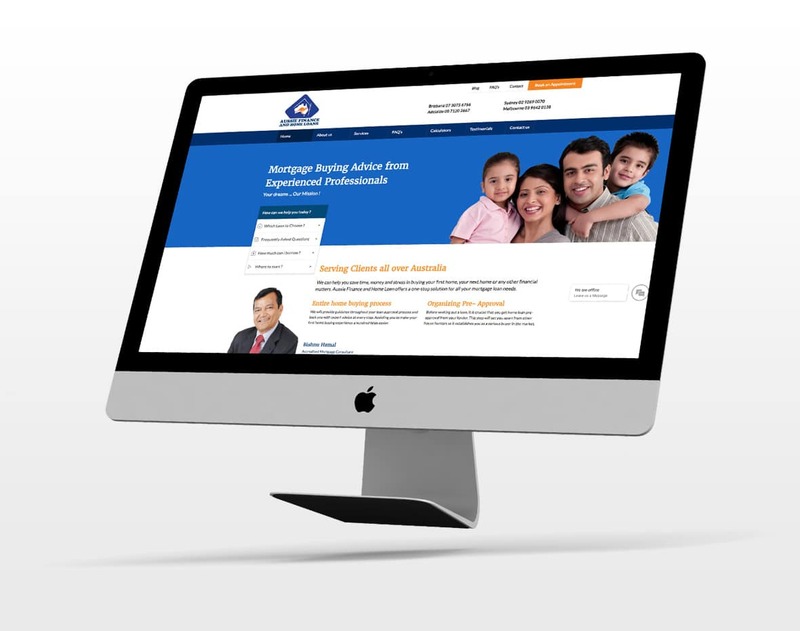 The website of Aussie Finance and Home Loans is a result of sheer hard work. It involved hours of planning, rough drafts, plans, sitemaps, editing and a relentless series of mockups. 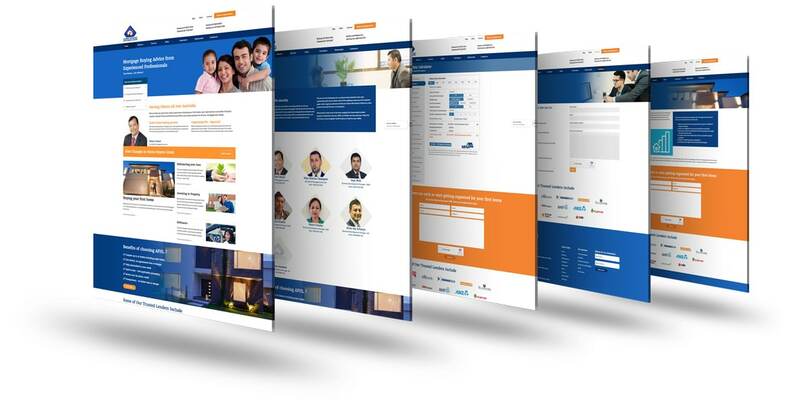 Regarding architecture, design, layout and backend, it is one of those entire websites which we have built with a lot of care and research. 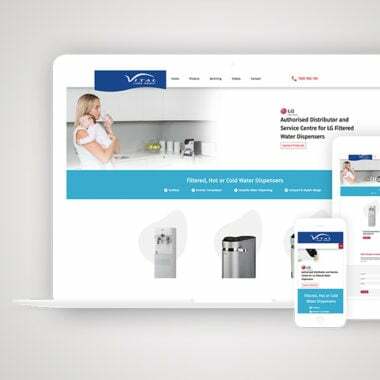 The hitch was choosing the right colours to make the site vibrant and soothing to the user, which became the central aspect of design, even before we started with the flowchart. 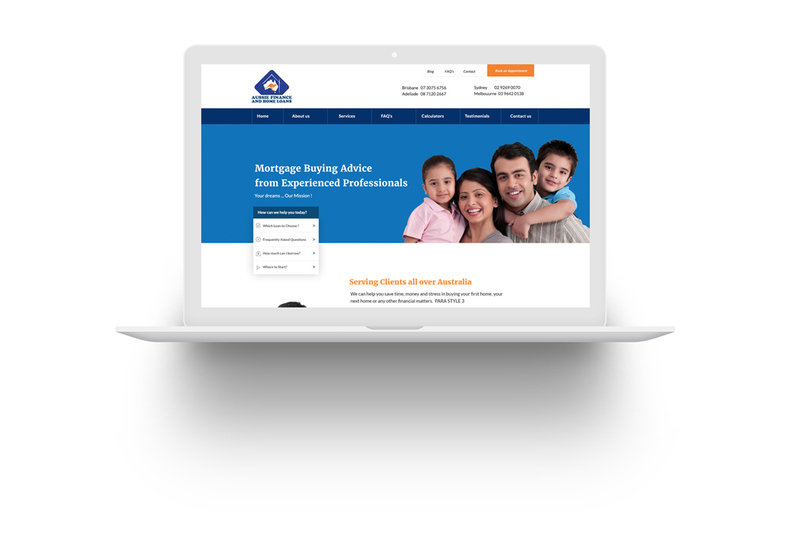 The revamped website of Aussie Finance has a WordPress Content Management System, and an active database supports all its contents.